Individual genetics and hormonal characteristics can cause both men and women to accumulate stubborn pockets of fatty tissue in specific body areas. While diet and exercise can reduce body weight and decrease body size overall, it won’t work to reduce isolated areas. Colorful names for problem areas, where excess fat may accumulate, include: saddlebags, bingo wings, love handles, spare tires, bra bulges and more. Liposuction makes “spot reducing” possible, resulting in a more streamlined body appearance. Many individuals in the Bergen County area feel self-conscious about excess fatty tissue, which may interrupt the otherwise-smooth contour of the body. Areas of excess fat may make one body part seem out of proportion with the rest of the physique, prevent people from wearing clothes they consider flattering or erode their self confidence. Man and women who are bothered or distressed about isolated bulges or fat pockets on thighs, upper arms, knees, chins or buttocks may choose liposuction to create a sleeker figure. Creating natural, smooth, balanced and symmetrical body contours. Reduction or elimination of pockets of fat out of line with the patient’s overall silhouette. Removing fat in a controlled manner to avoid dimpling. Location and appearance of scars, although very small incisions are used. Longevity of the surgery’s outcome. To improve the shape and decrease the size of the specific body area being treated, incisions are made to insert a cannula. This thin, long and rigid tube is used suction out and permanently remove fat cells to create a smooth line and appealing body shape, in line with the patient’s goals. The remaining tissue in the area is contoured and blended into surrounding areas for a pleasing and natural look. 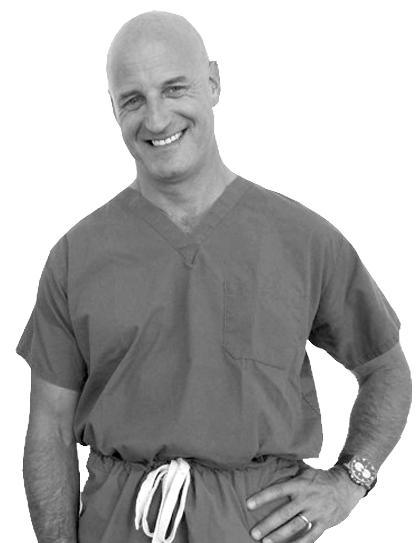 Dr. Cohen and Dr. Winters are experienced liposuction surgeons in Bergen County, NJ. Each liposuction procedure is strategically planned and meticulously performed to achieve results in line with each patient’s individual physiology and goals. The surgeons use their expertise to help create a natural and fit body appearance with minimal scarring. The best candidates for liposuction are healthy individuals with good skin elasticity. Patients should also be realistic, emotionally stable women and men who have reasonable goals for the outcome of the liposuction procedure. Liposuction is not intended for overall weight loss or to treat obesity. Feel more comfortable in beachwear. Wear clothing they always wanted to. Look as fit, healthy and youthful as they feel. Enjoy a smooth, more proportional physique. We are happy to meet with individuals considering liposuction, to assist them in clarifying goals for the procedure–and to help determine if someone is a good candidate. Decreased sensation under the skin in the treated area, which may continue for up to a year after surgery. Irregularities in contour or shape in the treated area. Lumpy results can be minimized when a compression garment is worn as instructed. Infection, scarring and bleeding are all rare. Additional surgery may be needed to treat complications. Liposuction permanently removes excess fat cells from the treated area, but future weight gain can cause fat to accumulate elsewhere and in areas previously treated. Liposuction patients typically experience a quick recovery. Bruising and swelling is very common following surgery, gradually subsiding over a few weeks, depending on the area treated. There is usually a brief period of strenuous exercise restriction during the recovery period. Movement is encouraged and beneficial for circulation shortly after surgery, once the surgeon gives the ok.
How Do I Choose the Best Plastic Surgeon for Liposuction in Bergen County? We’ll use our experience as aesthetic and reconstructive surgeons to plan and perform personalized liposuction surgery. Each procedure takes into account the patient’s distinctive anatomy and is designed specifically to achieve the patient’s goals for an improved figure or physique.